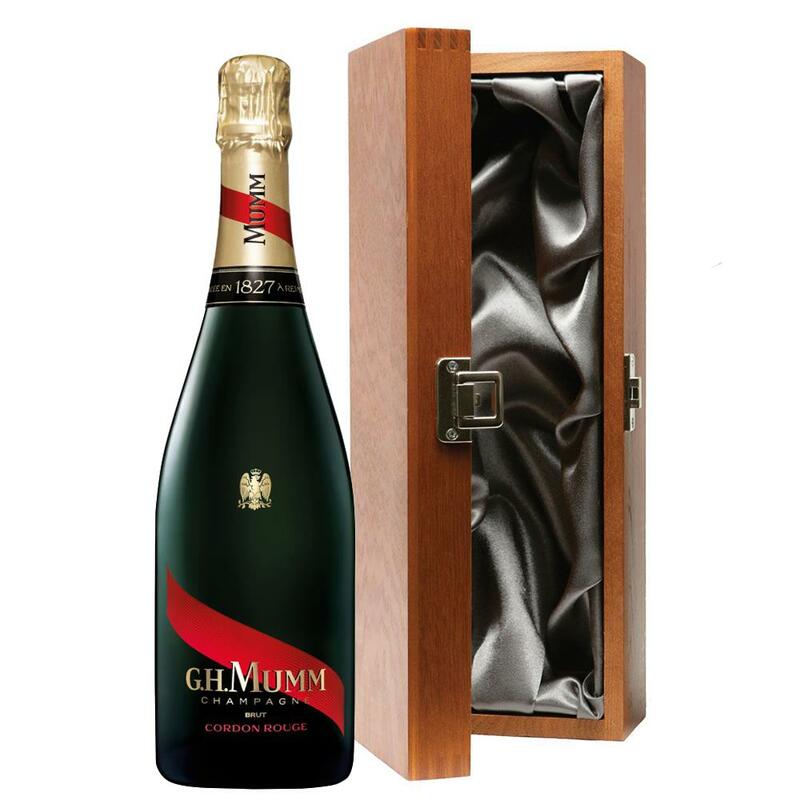 Luxury added to your bottle of Mumm Brut Champagne 75cl with the alluring wooden case with hinged lid. The case is made from wood, which is beautifully complemented with stainless steel hinges and clasp. This case adds the ultimate luxury to any gift and is delicately lined with silver satin. Mumm Cordon Rouge is golden yellow in appearance and hosts an array of tiny bubbles. On the nose aromas of lemon and grapefruit, combined with the richness of firm, fleshy fruits such as white peaches, apricots and tart apples bring freshness and liveliness to the wine.